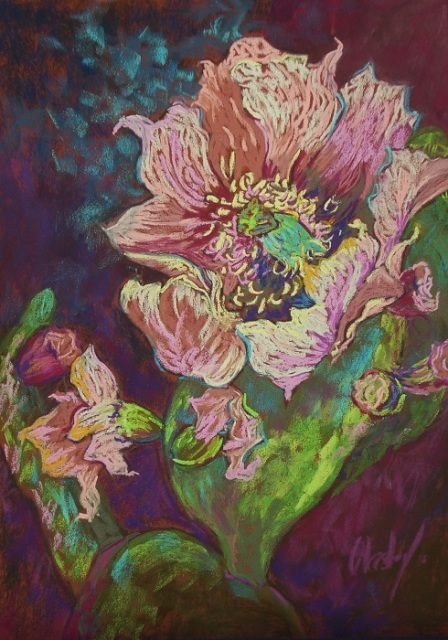 Patsy Blasdell is a light-hearted soul who thrives on watercolor, pastel, and oil painting. A believer in the therapeutic value of color, she breathes life into her work through a full spectrum of rich, juicy, bright hues based on her emotional reaction to the subject. Expressionism is reflected in the creation of a blue cat with orange eyes or a brilliant violet sky. Whether painting a landscape en plein air or in the studio creating from photographs the artist is inspired by the simple beauty of a white sheet of watercolor paper or a red tinted sheet of pastel card. 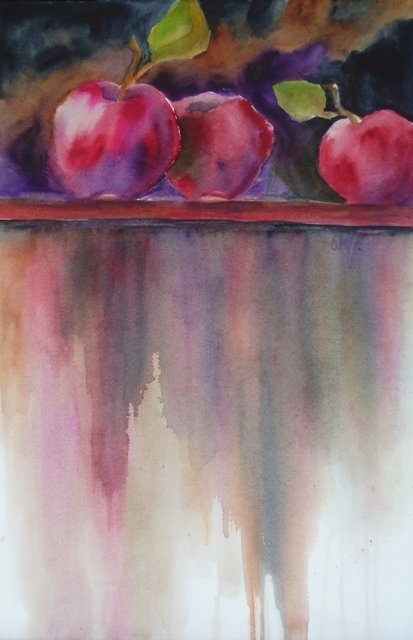 Patsy began her art journey in watercolor as a hobby in San Angelo, Texas where she worked as a registered nurse in the field of Obstetrics and Gynecology. A move to Las Cruces, New Mexico shifted her focus to full-time artist and set her free to explore who she is creatively. 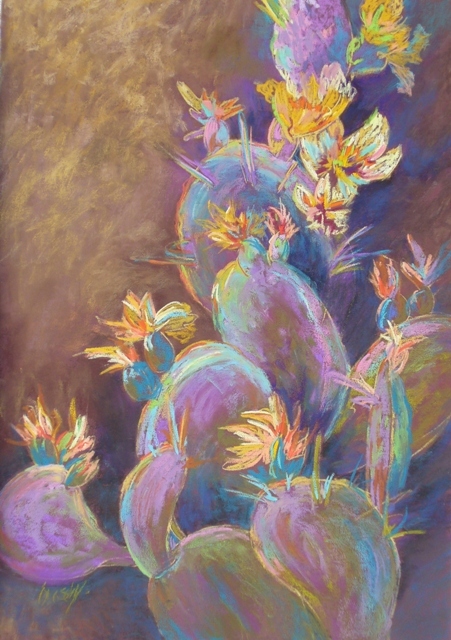 Pastels allowed Patsy to capture the brilliant colors of the southwest and shortly after this discovery she picked up a palette knife and was on her way to becoming an oil painter. “An inner voice told me to begin oil painting with my left hand. This was interesting to me since I’ve always been right-handed but it feels totally natural”. Home for Patsy and her husband of 46 years, Larry, is the lovely, cool mountain village of Ruidoso where she teaches private art lessons and workshops. Her art may be seen at Linda Lundeen Gallery in Las Cruces and Josie’s Gallery in Ruidoso, New Mexico, truly her Land of Enchantment!